The image above shows the traditional Spanish alphabet which consisted of 30 letters. The traditional Spanish alphabet was similar to the English alphabet, with the addition of four letters; ch, ll,ñ, and rr. The NEW Spanish Alphabet is the English alphabet with the addition of one letter: ñ, for a total of 27 letters. The lessons below will first teach you the "name" of each letter of the Spanish alphabet. Then you will learn how to pronounce the letters of the Spanish alphabet when they are used to form Spanish words. Spanish letters may have a different sound depending upon their location in the Spanish word. Spanish is a Romance language and it is closely related to Italian and Portuguese. Spanish is a major language, with up to 400 million native speakers in Spain, Latin America and the USA. With so many Spaish speakers living in the USA, one should at least learn to say hello in Spanish! Spanish uses the Latin alphabet, with the addition of the letter ñ. Spanish vowels can take an acute accent. Spanish alphabet pronunciation may be problematic. Beginning Spanish students often confuse the Spanish and English vowels a, e, i. The Spanish and English consonants h, j, r, y will also cause trouble, due to the fact that they have very different names in Spanish. 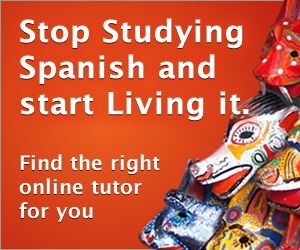 To asses your current level of knowledge, you should take our online Spanish test. Spanish alphabet pronunciation can be difficult. The vowel sounds and sentence stress used in Spanish is significantly different from that of English. These differences are serious challenges to study who study Spanish. English has 12 pure vowel sounds and 8 diphthongs and the length of the vowel sound plays an important role. This contrasts with Spanish which has 5 pure vowels and 5 diphthongs. The length of the Spanish vowel sound is not significant in distinguishing between Spanish words. Of course, the easiest way to improve your Spanish alphabet pronunciation is to play a few of our 1,000 Spanish alphabet games! Every time I saw a homeless person I would give them a Bag of Hope and to see them filled with hope meant the world to me. But some of them can't be identifiable in advance, particularly in the implementation phase of the process. Even in the U.S, the rock and roll- pop scene had a numerous amounts of clean-cut, nice, appropriate looking male artists. In Wheatley’s poem “On Being Brought from Africa to America,” she talks about she struggles that she experienced while coming to America. The gathering of the information will be thru secondary information from books, journals and news regarding both projects. The tour also did not allow guests to walk up to the fourth floor and also had the third floor and basement blocked off. As Columbus Salley has written, Harriet Tubman, “like no other woman, has come to symbolize the indomitable spirit of blacks in their quest to be against the peculiar institution of slavery, with its intent and design to destroy their spiritual essence as human beings. Heaney also quotes George Herbert’s poem, “The Pulley” in order to defend the cause of poetry. Private enrollment only advanced through unintended policy consequences and an increasing lack of state capacity, but not because of a deliberate policy choice. Answering the question why helps you to get to the bottom of the reader’s problems and helps you to better identify why they may be having problems. Latvia’s currency, the lat, has been pegged at 1.42 euros per lat since 2005 and at the same year Latvia has also joined the EU’s exchange rate mechanism. The crisis proved that unexpected tax base which likely to be permanent is reduced following the crisis. Step 4: Should flights be banned coming into the US from places that were dealing with the Ebola outbreak? Assumes two consecutive nodes in an arbitrary direction κ with index i and j is given. Barriers to trade and government regulations could be key reasons to explain the difference in investment costs. They are more equipped as they are able to align themselves in accordance with current circumstances with more flexibility in comparison to the stronger economies. The above strategies have as well demonstrated an improvement in African-American women’s perception on breast cancer and has facilitated the increased urge for screening. Very few rely on the help of experts or financial advisors to make saving and investment decisions notwithstanding the low levels of literacy that many of them showcases. Many studies have linked Facebook and other social media to have serious consequences on the teens today. While containerization may not affect its competition in heavy freight movement, the human aspect far exceeds other forms of mobility in regards to speed and distance. Chemotherapy given with curative intent comes with significant side effects: yelosuppression results in a further increased risk of overwhelming infection and need for blood transfusional support; alopecia; infertility; nausea and cardiotoxicity from anthracyclines to name a few.